New Item! Expected to Ship 06-19-2019. Earn up to 20,904 reward points. The 3137GL Challenger I Series Bb Trumpet offers outstanding performance. 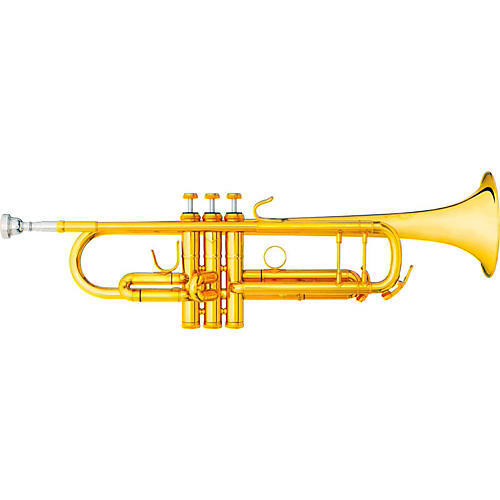 This Challenger I trumpet features a .459-inch bore combined with a #37 one-piece yellow brass bell and a gold brass leadpipe for a centered tone with excellent response. This trumpet also features Monel valves with boxed springs and a lush gold lacquer finish. The 3137GL Challenger I trumpet includes a single trumpet wood case and mouthpiece and is available in lacquer or silver finish. Select finish from dropdown menu. Order today and experience the fire and complexity of a B&S Challenger I.